The NLP projects are online (2012_project.pdf). Please start your discussion! Topics today: introduction to Word Sense Disambiguation (WSD). Motivation. 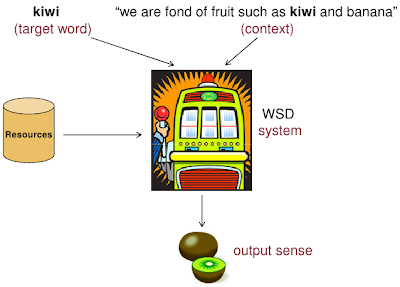 The typical WSD framework. Lexical sample vs. all-words. 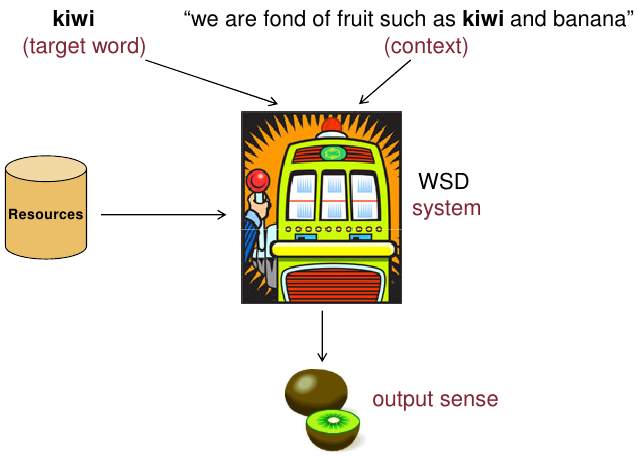 WSD viewed as lexical substitution and cross-lingual lexical substitution. Knowledge resources. Representation of context: flat and structured representations. Main approaches to WSD: Supervised, unsupervised and knowledge-based WSD. Two important dimensions: supervision and knowledge.